Do you ever feel like I post too much electronic music? do you ever look at my post and just past by it and put on The Decemberist on? well here is my attempt to make your ears smile. This summer has alot of promise here in Brooklyn, i’m looking forward to a lot of bands to come thru and blow me away, one in particular is the Harlem Shakes, they maybe my New Villager or your Clap Your Hands Say Yeah or your friends Passion Pit, listen and let me know what you think. Deastro will be playing a few shows i’m sure with Tycho this year besides just the Detroit and Toronto shows coming up. Randy Chabot is a great if not amazing stage presents when you first see him perform. His sound for Vermillion Plaza is like a young U2 meets the soundtrack to Sonic the Hedgehog(specifically that 3D tube level where you run with tails…blah you might not know what I mean). Either way this band has epic talent and their Moondagger LP will be one that will be remembered on Ghostly’s release catalog. New Dinosaur Jr. is hitting the record store shelves and all I want to do is listen to Feel The Pain. When Tortoise comes to mind all I can think about is 3 things: First is fatty synth magic and second is there drummer can’t be a real person and third I remember the first time I saw the drummer play for Prefuse 73 in Detroit years ago and he was soo on point that he literally played one of the most complex parts i’ve seen him play all night while directing, pointing and yelling at the sound guy to the point that playing the song was 3rd on his priority list but still killed it, pure talent in my opinion, oh yeah and the rest of the band is good too. 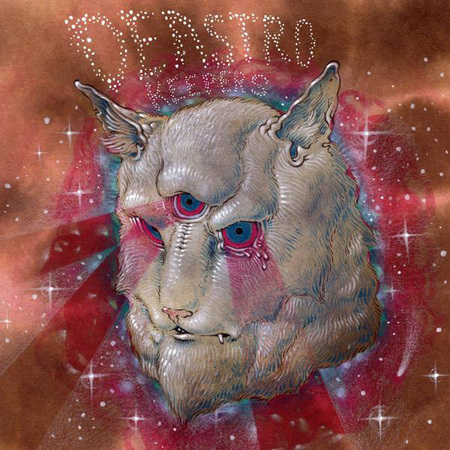 Deastro+Flying Lotus.. Deastro: A Day In The L.. Future Islands..
One can never have too much electronic music. However, I was really really hoping you’d post some Slipknot, Three Days Grace and The Used. Or maybe next time you can post a hot Taylor Swift dub remix. Personally since I love electronic I can never have enough. That Harlem Shakes sound is really interesting but I think it’s going to take some more listening. I’m interested in their other work. I’m really stuck on the Tortoise song though. Their synths are off the chain and the percussion is really nice. The coolest part has to be @ around 2:16 when the beat changes. That’s amazing that their using a drummer and not just some percussion samples. Cool stuff. I subscribe to this blog’s RSS for the electronic music you guys help me discover and the added bonus of the art and design articles. Don’t change! Tortoise: Yes. My favorite percussionists include John McEntire and John Herndon of Tortoise! I have never heard percussionists play with such attention and control. Great usage of dynamics too…they don’t hit every note with all of their might. Beautiful. Harlem Shakes:Eh, It is gonna take a while for me to get them. I saw them two years ago with Deerhoof, and I have struggled with them for a time…They are definitely promising though. I KNOW WHAT YOU’RE TALKING ABOUT!! You’re talking about the Emerald levels in the SONIC SEGA GAME. AHHHHHHHHHHHH i liked the tortoise song. The Decemberists? Come on! who do you think we are?? 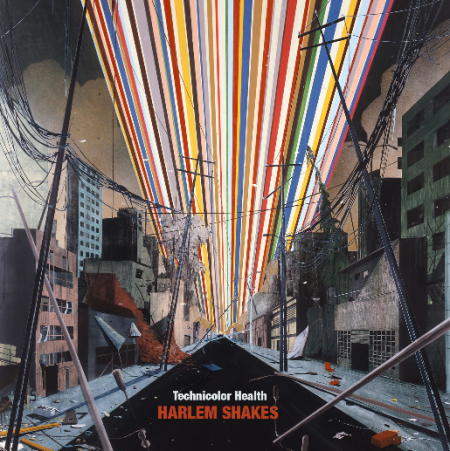 yes, the harlem shakes album is gooood. I wish Tortoise would come back down here on tour. I seen em years ago with Prefuse 73 and Mr. Lif MCing for him freestyle. Also on the bill was Autechre who dissappointed me so bad that night. Tortoise even let some bum off the street do a spoken word poetry piece on stage hah! Also true story, when seeing Prefuse 73 live once. Scott’s snare drum fell off it’s stand during a song and rolled down the stage. I wish I could of gotten a picture of Scott and Nobody’s face when it happened. Deastro is also reminiscent of Joy Division’s Ian Curtis – in terms of his approach to vocals.